Freescale has a wireless charger with power of 15W is announced. The charger is based on the Qi standard and is mainly focused on tablets, although smartphones faster to load than with current wireless chargers. 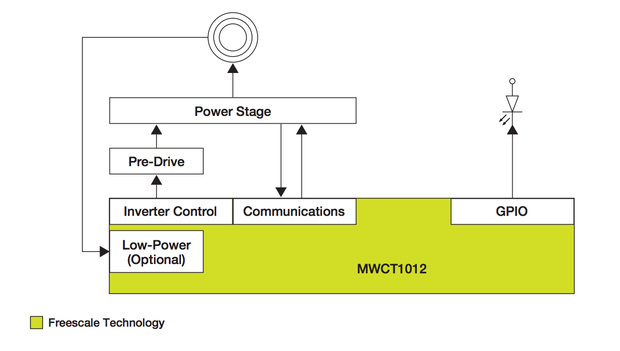 According to Freescale, it goes to the first wireless 15W charger with support for the Qi standard. The manufacturer announces the charger stuck to, but this comes only in the first quarter of 2015 on the market. Be able to manufacturers with test products to get started. In addition to tablets and large smartphones think Freescale application for mobile devices in the medical and industrial sector. Incidentally, would the charger according to the company, also smaller smartphones faster to load than the current Qi chargers. Thanks to the power of 15W should the charger devices with Qi-support three times as fast loading as well as via the regular usb connector of 5W. Freescale gives as an example a tablet with a battery capacity of 4000mAh, which is via usb in eight hours to charge but with the wireless charger after a few hours ready. Incidentally, supports the charger in the standards for wireless energy transfer Wireless Power Consortium and Power Matters Alliance.